This IBM® Redbooks® publication positions the use of System Logger log streams as a repository for System Management Facilities (SMF) data against the previous use of Virtual Storage Access Method (VSAM) data sets for SMF data. This book expands on existing material by covering not just the implementation steps, but also by looking at how you use SMF data today, and using that information to help you identify the most appropriate repository for your SMF data. 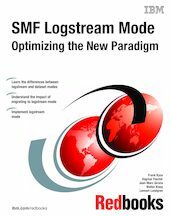 If it transpires that log streams are appropriate for some or all of your SMF data, this book provides all the guidance that you are likely to require for a successful migration to this new paradigm. The target audience for this document is system programmers and anyone who uses SMF data.